In an effort to finally fix everything Karoleena broke on our new home, Horizon North (the company that bought Karoleena in 2016) brought in a third-party contractor to go through the list of deficiencies to determine what still needed to be done and 2 construction guys from Alpine (remediation specialists) to get the work done. Honestly, if Mike and Rick, the construction guys, had been working on this project from the start, we never would have suffered through almost a year’s worth of ‘fixing’ the problems, 2, 3 and 4 times over. They spent a week here and got the job done. For example, the fence on our west wall was installed in October. Instead of using 4 X 4-inch posts as originally planned, the Karoleena workers used what they had in the shop (6 x 6’s), and therefore the fence incurred the neighbour’s property by 2 inches. 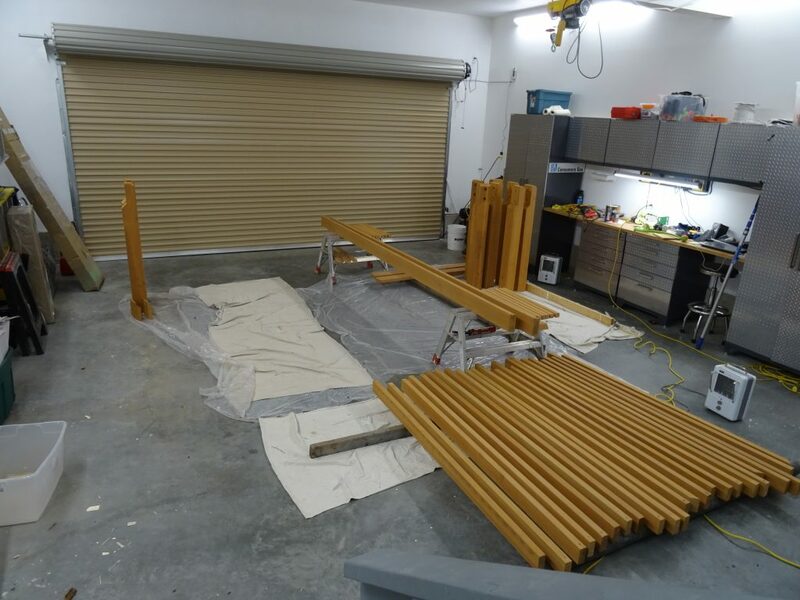 Moreover, they didn’t bother to stain the posts prior to installation, and by the time Karoleena’s sole site worker came around to do it, the weather was too cold, i.e. below 10C, which is the coldest temperature at which wood should be stained. So… Mike and Rick disassembled the whole fence, cut posts to the proper size, then stacked all the wood in our garage and threw the heaters to them overnight. The next day they sanded and stained the whole lot and re-installed everything. What a difference professionals make! We spoke with them throughout the week and their attitude is “I work on it like it’s my own home”. Of course, we’re not surprised that Karoleena workers didn’t have that attitude, they weren’t respected at all. They weren’t given the resources they needed to keep a job going and weren’t paid according to industry standards in this part of the world. No wonder all the good workers quit. Anyway, there are still a few items left on the list which should be addressed by the end of March. We will be SO thrilled to finally done with Karoleena! !